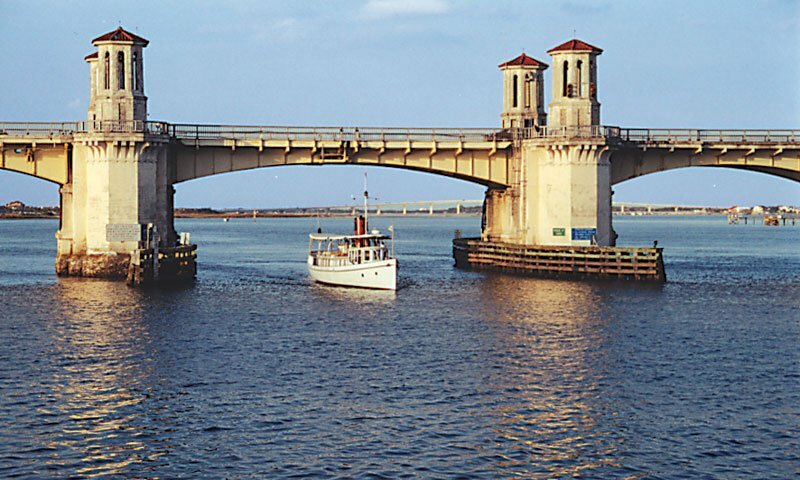 Aboard the Victory III, visitors can relax and cruise the waters of historic St. Augustine for an hour-and-fifteen-minute tour. Narrated tours by the Captain provide an incomparable way to view the historical landmarks of the nation's oldest city, as well as the wildlife in beautiful Matanzas Bay. Watch dolphins and birds in their natural habitat. 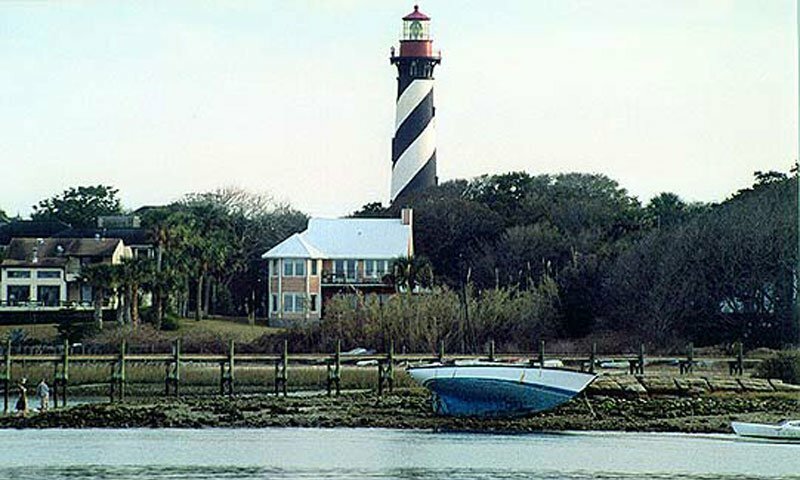 Scenic Cruise departs four times-daily from the Municipal Marina, south of the Bridge of Lions, downtown St. Augustine. Group rates available. Victory III, St. Augustine's premier double-decker tour boat provides a unique setting for couples choosing beautiful Matanzas Bay as the background for their special event. With its open upper deck and enclosed lower salon, this vessel is available for charter year-round from forty-five minutes to two hours or longer at surprisingly low rates. Victory III is not only available for Simple Weddings, but also rehearsal dinners, receptions, vow renewals and anniversary celebrations. For additional information click on our website link or call (904) 824-1806 Ext. 210. We were ther in december when it was a chilly 70 degrees while at home in illinois it was a toasty 15 degrees ha ha anyway this was a great way to see the sights the bridge of lions is way cool and the castillo just great wish that you went closer to the lighthouse but understandable anyway the kids as well as ourselves thought it was just a fine hour and a half on a fine sunshine filled chilly winter afternoon. Thanks for the memories. We were down in december from illinois we go to florida every year, for something different we went out for a scenic cruise , great time slightly chilly around 70 that day at home more like 15 but anyway great way to see the sights and escape the crowd for awhile saw dolphins and alot of boats the bridge of lions is way cool so is the lighthouse wish you went closer to that but otherwise well worth the cost and our kids thought it was great to.